CLIMATE CHANGE IS no longer avoidable, scientists say. Decades of greenhouse gas (GHG) has accumulated making the planet 0.74 degrees Celsius warmer than the recorded average temperature in pre-industrial times. Social. Population displacement, loss of livelihood and increased health problems. And three, the planet is warming up in a rate faster than what was projected by the IPCC. 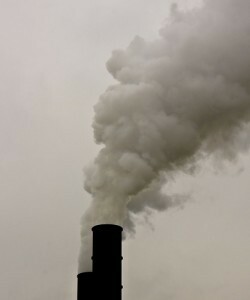 (Steenhuysen, February 2009) Current studies show that developed countries have contributed to the bulk of GHG accumulation in the atmosphere, thus they bear the primary responsibility of cutting emissions. Developing countries only do so voluntarily basis due to their minimal GHG contribution. But this trend is expected to change in the next few decades. Increase in the emissions of developing countries within 2000-2025 is projected at 84%, putting them ahead of developed countries whose emissions are projected only to increase by 35%. Among Asian countries, China will have the highest contribution (118%), topping even the United States. India and Japan will remain contributors at 70% and 26%, respectively. Many studies and reports paint a grim picture of the future. And as the temperature of the planet escalates, so is the pressure on many countries, organizations, and even individuals to stabilize GHG levels through mitigation measures and to develop the ability to cope with and adapt to climate change impacts. In this one momentous occasion, all countries will converge in Denmark to forge a new deal built on a shared vision and long-term cooperative action. Despite “common but differentiated responsibilities,” never in the history of mankind that people from all parts of world and from all levels of governance have come together to fight against a single enemy that threatens human survival. Engagement is the playground of social accountability. Or if such principle is lacking, engagement can be a fertile ground for cultivating social accountability. Before it surfaced to our consciousness, social accountability may have already been swimming in meetings, exchanges, and interactions in an amorphous form. The World Bank gives form to it by defining social accountability as “an approach towards building accountability that relies on civic engagement, i.e. in which it is ordinary citizens and/or civil society organizations who participate directly or indirectly in exacting accountability” from the government. Citizens play a key role because their actions can demand from public officials, politicians, and service providers to account for their conduct and performance in delivering basic services, promoting people’s welfare, and protecting people’s rights. But where can we find social accountability in a cloud of carbon, that is, in all the excitement (or commotion) to discuss, debate, and address climate change? Social accountability exists not only at the local level where government and citizenry interact, but also at the international level, between governments, more specifically, between governments of developed and developing countries. Social accountability is at work as governments begin to discuss the mechanisms that would support mitigation, adaptation, and the provision of financing, technology transfer, and capacity building support. Adaptation is the primary focus of developing countries because of their vulnerability to climate change impacts. But this is more than an issue of what to do. The real debate centers on what support is in place and how it will be accessed by the developing countries. For adaptation to be effective developing countries need financing, technology and capacity building support of developed countries and this support must be accessible to them. The UNFCCC initially looks at an adaptation fund of US$67 billion every year to finance adaptation programs and projects of developing countries. Institutional mechanisms and arrangements are being proposed to ensure accessibility of the adaptation fund. The Philippines, for instance, is on its way to putting in place a Climate Change law, with the Bill now taken up in the bicameral session. The next stage is a stamp approval from the Office of the President. Once the law is enacted, the National Government will release Php50 million to the Climate Change Commission, the sole climate change policy-making, and its programs and action plans. A closer interaction is expected at the local/community level as sub-national governments try to introduce or support adaptation measures in specific sectors such as agriculture and fisheries, water, health, housing, environment, tourism, and disaster risk management. In mitigation, measures may be introduced or supported in the energy, solid waste management, and transport sectors. As constituents feel the impacts of climate change – whether subtle or drastic – a tremendous pressure will bear down on local leaders to deliver basic services to communities, to promote the welfare and safety of the people, and to improve the quality of lives. For low-income countries that work on limited resources, social accountability will be most relevant to ensure that local funds will go to where it is needed. Avenues for participation in project planning, implementation, and monitoring should be provided to community members. Transparency and accountability need to be built in government systems and processes. And efficiency must be carried out at all times. Ackerman, J. (March 2005). Social Accountability in the Public Sector, A Conceptual Discussion. Social Development Papers, Participation and Civic Engagement. Paper No. 82. Affiliated Network for Social Accountability in East Asia and the Pacific (November 2008). “Putting Social Accountability on the Mainstream.” Infosheet. Asian Development Bank (April 2009). The Economics of Climate Change in Southeast Asia: A Regional Review . IPCC, 2007: Summary for Policymakers. In: Climate Change 2007: Impacts, Adaptationand Vulnerability. Contribution of Working Group II to the Fourth Assessment Report of the Intergovernmental Panel on Climate Change, M.L. Parry, O.F. Canziani, J.P. Palutikof, P.J. van der Linden and C.E. Hanson, Eds., Cambridge University Press, Cambridge, UK, 7-22. Philippine Senate. Senate Bill No. 2583, “An Act Mainstreaming Cliamte Change into Government Policy Formulations, Creating for this purpose the Climate Change Commission, and for other purposes”. Philippine House of Representatives. House Bill No. 5982, “An Act Establishing the Framework Program for Climate Change, Creating the Climate Change Commission for this purpose, Appropriating funds therefor and for other purposes”. Steenhuysen, J. (14 Feb 2009). “Global warming seen worse than predicted”. Reuters. United Nations Development Program (no date). The Bali Road Map: Key Issues Under Negotiation. UNFCCC (2009). Revised Negotiating Text prepared by the Ad hoc Working Group on Long term Cooperative Action, Sixth Session, Bonn, 1-12 June 2009. World Bank (2007). East Asia Environment Monitor 2007. The author is Program Coordinator of the Ateneo School of Government's Climate Change Adaptation Program. She was part of the team that provided technical support and capacity building for the Philippine Delegation to the 15th Conference of Parties (COP15) of the United Nations Framework Convention on Climate Change, which was held December 2009 in Copenhagen. I agree, there is much we can do about waste management services to help improve social accountability. Hopefully more people hear your voice, and respond to the call.